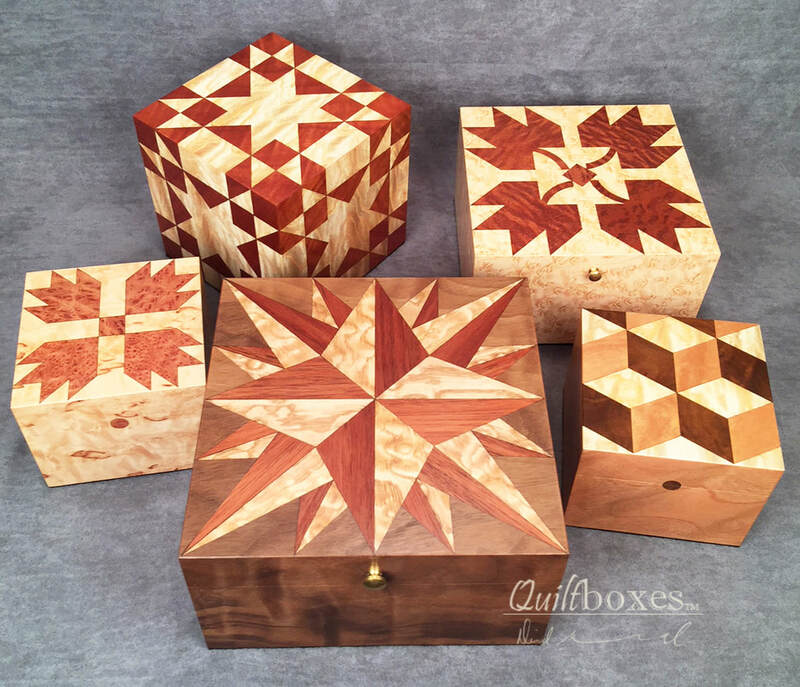 QuiltboxesTM wood art pieces feature traditional quilt block patterns on finely hand crafted wooden boxes and other decor items. Custom orders are available for boxes with specific patterns or veneer woods (contact us for custom order pricing and lead time). Occasionally available, and when in stock, will be linked below. Wood art tiles, made with the same hand-pieced marquetry techniques we use in making our boxes. Magnetic mounting requires no hooks, screws or holes in your wall.